The MOSOunds podcast is produced the office of University Relations & Marketing. Listen to the audio version of this podcast or read the transcript below. HOST: That was Dr. Alan Marble, president of Missouri Southern State University, announcing Alison Malinowski Sunday as the winner of the 2018 Annie Baxter Award on Wednesday, May 2. Alison is the executive director of Joplin’s Lafayette House – which provides help to victims of domestic violence, sexual assault and those struggling with substance abuse. The award, established in 1990 by former political science professor Tom Simpson, is presented annually to a prominent Missouri woman who makes noticeable contributions to her community in the spirit of Annie Baxter. I’m Scott Meeker with the University Relations & Marketing office at Missouri Southern, and in this edition of MOSOunds we’ll learn about Baxter’s significance and legacy and hear from the winner of this year’s award. Baxter, in 1890, became the first woman to be elected to public office in the state of Missouri, and she was the first woman in the United States to be elected as county clerk. Dr. Nicole Shoaf, an assistant professor of political science at Missouri Southern, talked about the significance of Baxter’s achievement. She ran at a time when women were very much expected to sit down and shut up, and she chose not to. Even when she was running for office and her opponent and many members of the public did not take her seriously, she continued to advocate for herself, and I think that’s a wonderful lesson for women today. Women only make up 20 percent of the U.S. Senate and that’s a record high, women are grossly underrepresented in most local governments and state legislatures. And a lot of it comes down to women needing to be less self-conscious of their ambition to advocate for themselves. And I think the Annie Baxter legacy is one we can look to for inspiration. HOST: Alison Malinowski Sunday, the recipient of this year’s Annie Baxter Award, joined the Lafayette House in 1980. She was named associate executive director in 1991 and executive director in 1995. She has been instrumental in educating the community about the issues of domestic violence, sexual assault and women’s substance abuse. Alison: When I started working with the Lafayette House it was called the Family Self Help Center. We did not have the words domestic violence. We didn’t know what to call the phenomenon that was violence against women that was happening behind closed doors. So we often called it battered women. Really it was a dark secret in the community and in the country. It was very early on that I decided this was the work I needed to do. Really, it’s all about serving one woman at a time. I am so proud that we have been there when women have needed us, needed a safe place, needed encouragement and needed someone who could help them to show them the way. HOST: But unfortunately, not every story has a happy ending, she says. Those are the ones that tend to stick with her. Alison: I think the failures haunt me more than any when I hear about a woman who is murdered, who didn’t call us, when police respond to domestic violence and a woman says, “No, I don’t want help.’ That still haunts me, and will really until we see an end to domestic violence. It was a group of women Alison says she holds in very high regard and was honored to have been included among them in consideration for the Annie Baxter Award. Alison: It’s very significant because it’s all about strong women serving their community. And if you look at the nominees this year, I’m so honored to have been included with the three other nominees for this award. All women who have a history of having a passion for service and justice to the community. It’s very honoring. HOST: Nominations for the annual awards are solicited from the community and public officials across the state, says Dr. Shoaf. The awards committee narrows the list down to four finalists, and the University Council at Missouri Southern selects a winner by secret ballot. Dr. Shoaf: I think it would be great if we got more nominations. It’s incredibly hard when we sit down with pages after pages of nominations and explanations about why people think these women should win awards. And it’s incredibly difficult to narrow it down to just four finalists, much less to pick a single winner any given year. But I think there’s honor in being recognized even as a nominee, and so I would like to see more women be nominated for this award. I think that would be wonderful if the Missouri Southern and local southwest Missouri community would nominate more of the women in their lives. 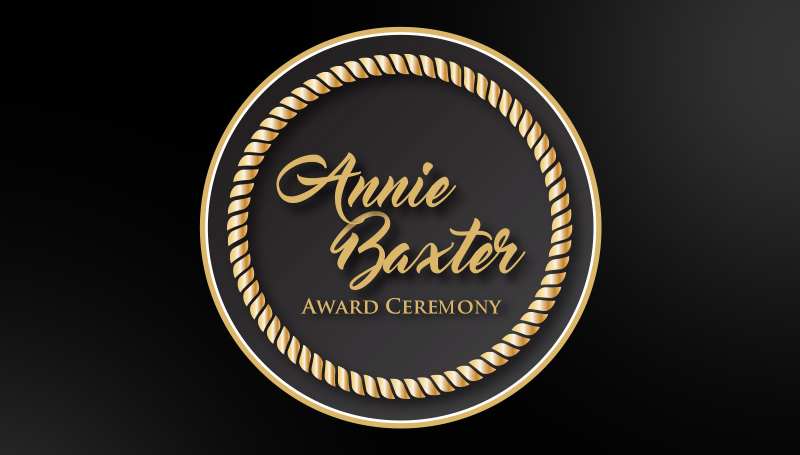 HOST: Nominations for the annual Annie Baxter Award can be submitted at any time, by sending a letter to Dr. Brad Hodson, executive vice president of Missouri Southern.